One of the most important facts that the entrepreneur has to know about the foreign market is the taxation rules. We would like to present you with a brief factsheet about taxes in Israel. The Israeli tax year is generally the calendar year; however, subsidiaries of foreign public companies may sometimes use a different fiscal year. All companies doing business in Israel are required to file audited annual tax returns and financial statements within five months after the end of their fiscal year, although extensions may be obtained. Filing may sometimes be spread over a period of up to 13 months after the end of the tax year. All companies residing in Israel are subject to corporate tax. The rate of tax is scheduled to decrease according to the taxation reform. The scheme is as follows: 2008 – 27%, 2009 – 26%, 2010 – 25%, 2011 – 24%. The rate of VAT in Israel is 17%. Incomes from export and also from sales of fresh fruit and vegetables are exempt from VAT. Companies are required to register as dealers for VAT purposes no later than the commencement of operation. VAT registration can be made through a mediator – a lawyer, an authorized accountant or a certified tax consultant. After registration with the Tax Authorities, the company will receive a temporary certificate of registration for VAT purposes and a permanent one will follow in the mail. 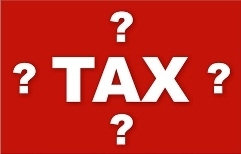 The VAT registration number is usually the same as that issued by the Registrar of Companies. When starting to conduct business in Israel, a foreign entity or person must also appoint a local VAT representative whose permanent place of residence is in Israel, and who assumes the responsibility for handling all VAT matters. VAT Form 22 should be completed and signed by all parties and the representative will be treated as the person liable for VAT. In order to register as a business, the registration should be made at the local VAT office nearest to the company's office. Certificate of incorporation signed by the Registrar of Companies. A copy of the Memorandum of Association and Articles of Association. Most export transactions, including export of goods, rendering of services to a foreign entity or resident, or sale of intangible assets to a foreign company which is situated abroad, are zero-rated transactions provided certain conditions are met. Because of variations in how this provision is applied, exporters should make sure to check with their accountants for further clarification. All business companies in Israel, including exporters, are required to pay VAT on imports. However exporters are generally entitled to a VAT refund within 30 days after filing the relevant return. Subject to any foreign tax treaty, the standard dividend withholding tax is 20% for shareholders who hold under 10% of the company and 25% for 10% or more "material shareholders." Dividends payable to Israeli companies are tax-exempt. An employer is required to open a withholding tax file and withhold income tax from employment remuneration paid to employees, for work performed in Israel. Self-employed individuals pay income tax on taxable income at rates ranging from 10% to 49%, plus national insurance of up to 16.23% according to a progressive tax. However, national insurance payments are deductible for income tax purposes in the year they are paid, resulting in an effective combined maximum of 57.3%. Israeli banks must withhold tax, generally at rates of 25–31%, on remittances from Israel, unless the remittance is related to imported goods. Sales tax is imposed upon sellers of real estate; the tax is based on the value of sale. Whenever parties to a sale agree that sales tax will be imposed on the buyer, it is necessary to adapt the value of the sale and add the tax to the overall price. Sales tax varies between 0–2.5% of the value of the sale. Duties and purchase tax are imposed upon imports mainly at a percentage of the value of the goods. Israelis who import from the USA, EU, EFTA, Canada, Mexico, Turkey and the MERCOSUR countries benefit from bilateral duty free agreements. Currently, Israel has tax treaties with 44 countries. The treaties function to prevent double taxation by guaranteeing that the investor’s state of residence will provide either a tax credit for tax which has been paid in Israel or, alternatively, that the Israel-sourced income will be exempt from tax in Israel or in the country of residence of the foreign investor. Austria, Belarus, Brazil, Bulgaria, Belgium, Canada, China, Croatia, Czech Republic, Denmark, Ethiopia, Finland, France, Germany, Great Britain and Northern Ireland, Greece, Holland, Hungary, India, Ireland, Japan, Jamaica, Luxemburg, Latvia, Lithuania, Mexico, Moldavia, Norway, Philippines, Portugal, Romania, Russia, Singapore, Slovenia, Slovakia, South Africa, South Korea, Spain, Sweden, Switzerland, Thailand, Turkey, United States, and Uzbekistan. For more information regarding international trade and doing business in Israel, please contact the consultants from Conbiz s.r.o. Source: Ministry of Industry, Trade & Labor, State of Israel. Edited by Conbiz s.r.o.